It was another late start and a short cruise. 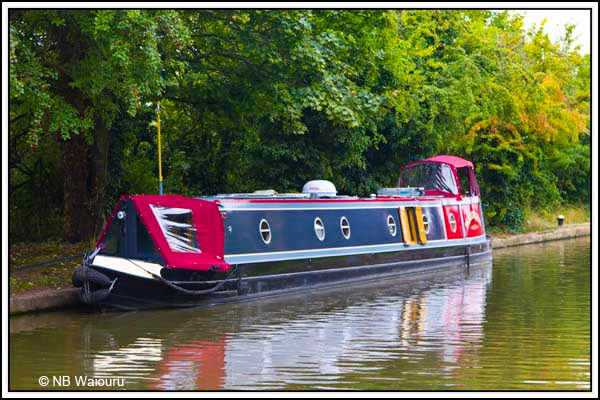 However we were woken early by the movement of two private boats passing at speed. By their appearance we think they were probably ‘bridge hoppers’ moving to another nearby mooring before heading off to work. There was a water tap immediately before Cape Top Lock so our plan was to top up the tank. It was another of those new stainless steel stands and I again had problems unlocking it. The problem was the CRT padlock. Our CRT key would turn in the lock but the padlock wouldn’t unlock. Eventually a local boater walked by and noticed my problem. He managed to open it by giving the padlock a fierce tug which shook the stand. Somehow I don’t think these stands are going to last. We dropped down through both Cape Locks and cruised around to the 24 hour moorings adjacent to Tesco. They are on the opposite side to the towpath and appear to be very quiet. 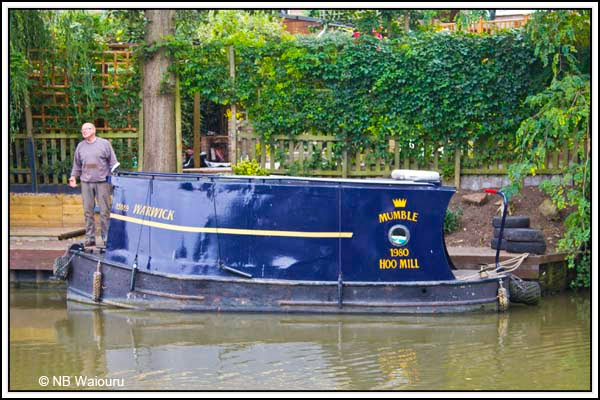 There’s only room for two boats on the mooring! I happened to notice there was a second smaller archway in the Charles Street Bridge. 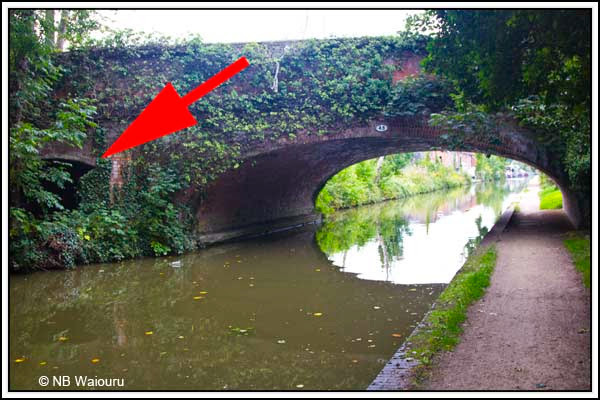 It might have been a towpath tunnel but it’s on the opposite side. Perhaps there is an easement for a buried pipeline? Kate Boats looked like they had most of their boats in the yard but that shouldn’t be surprising because Saturday is usually change-over day. A number of their boats passed us later in the day! Now here is a boat that should be able to get around all of the system. I wonder what the bathroom looks like? The owner was very friendly and was prepared to pose for the photo until I informed him I was more interested in his boat. There was a small brick cottage on the offside which looks like it has been expanded on at least two occasions. 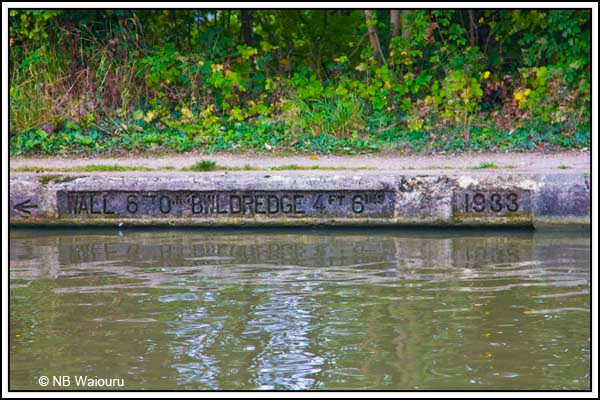 I’ve been noticing that along the Grand Union there are dredging measurements embossed into the concrete lip on the canal wall. There might have been funds for this 80b years ago but I can’t see it being done in today’s environment. 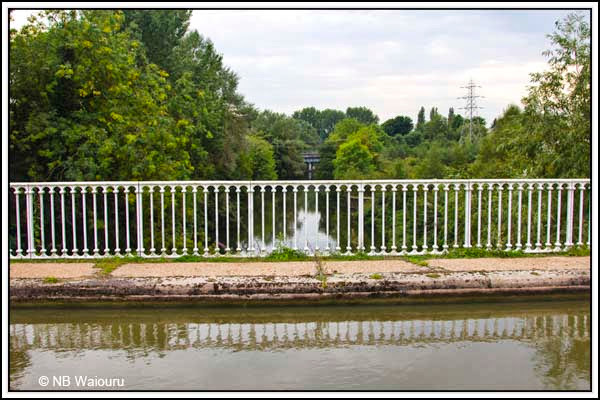 The canal crosses the River Avon on an aqueduct just east of our current mooring. 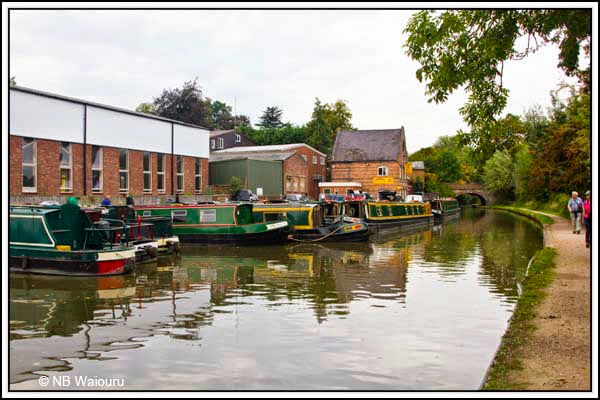 The Stratford & Warwick Waterways Trust is working towards extending the existing navigable canal from Stratford on Avon to Warwick where it would join the Grand Union Canal. 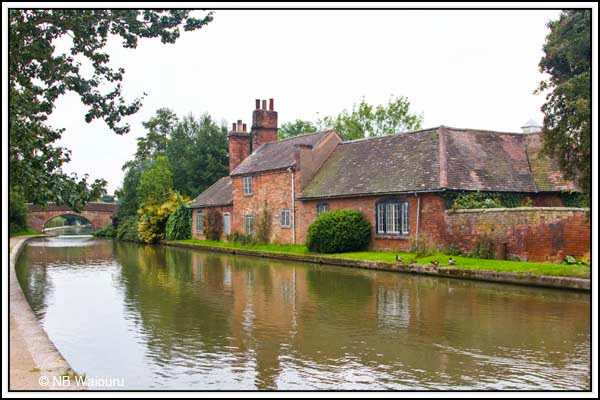 One assumes this would provide an alternative route for boats cruising the River Avon, or going to Stratford on Avon from the south.